TeleHealth makes it possible for practitioners to treat patients whenever needed and wherever the patient is, by using a computer or a smartphone. 5 minutes prior to your appointment time, sign into your appointment using the link below. What are the benefits of using TeleHealth services? Quality time with our Practioner – All test result consultations are for one (1) hour of uninterrupted time to thoroughly discuss your test results, ask questions and create a plan moving forward. Increased accessibility and efficiency – Ease of use; log in from your home computer. Time – Easy and fast appointments that work for your busy lifestyle; no traveling (gas and mileage) or added time away from work. Improved patient outcomes – Study after study show that patients want the option to see their healthcare provider via video. Two-thirds of consumers say they’ve delayed seeking care for a health problem. People do this because it costs too much (23%), it takes too long to see the provider (23%), they think the issue will go away on its own (36%), or they’re just too busy (13%). 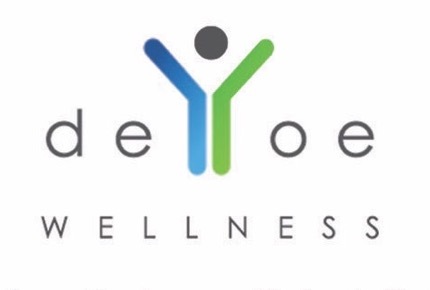 How do I join my video call with DeYoe Wellness? Log into your Healthie account. You will see a green bar appear in your account 10 minutes before the start of your video chat! Click that link and you’ll be able to meet with James. We recommend testing your video chat prior to a session. Go to: Settings –> Test Video Chat. This will check your microphone and camera. Here is Healthie’s Video Chat Trouble Shooting Guide if you have additional questions. Protecting your data and ensuring your privacy is of utmost important to us. Not only does DeYoe Wellness utilize HIPAA-Compliant Email Security Encryption but we also have an SSL Certificate in place on our website. Both features ensure your information is transmitted at the highest level of security possible.